Firstly I would like to thank Little, Brown UK and Net Gallery for sending myself a copy for an honest review. Within the first few pages I was just totally spellbound by this book. I cannot believe this was a debut by this author as it was just utterly brilliant. Her knowledge of the law and criminal law was fantastic (this of course was from being on the right side of the Law). 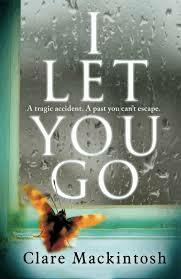 The twist in this book was just SHOCKING (in a good way) and had me shouting WHAT!!!!!!! I just did not see it coming. Please please don’t try and guess this twist and ruin it for yourself. It is in my top 10 of best book twists. This book is part of Richard and Judy Book Club 2015 and deservedly so.